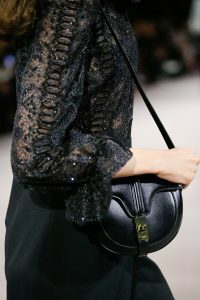 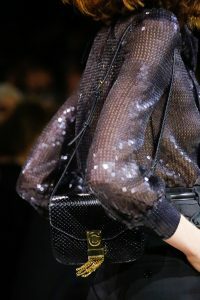 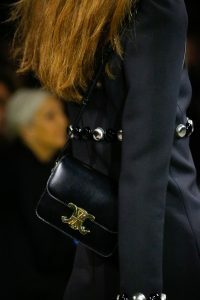 The much anticipated debut collection of Hedi Slimane for Celine has finally been unveiled during Paris Fashion Week. 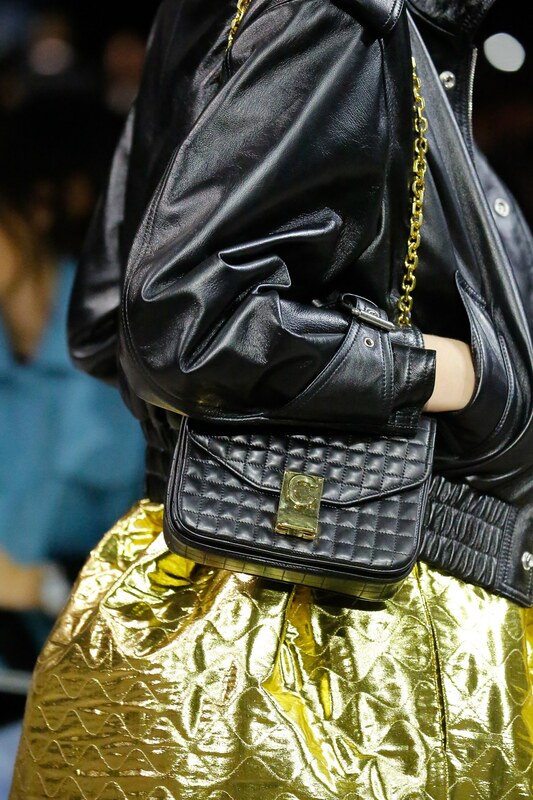 The collection entitled Paris La Nuit, features 96 looks with glam pieces bringing in a 90s club vibe. 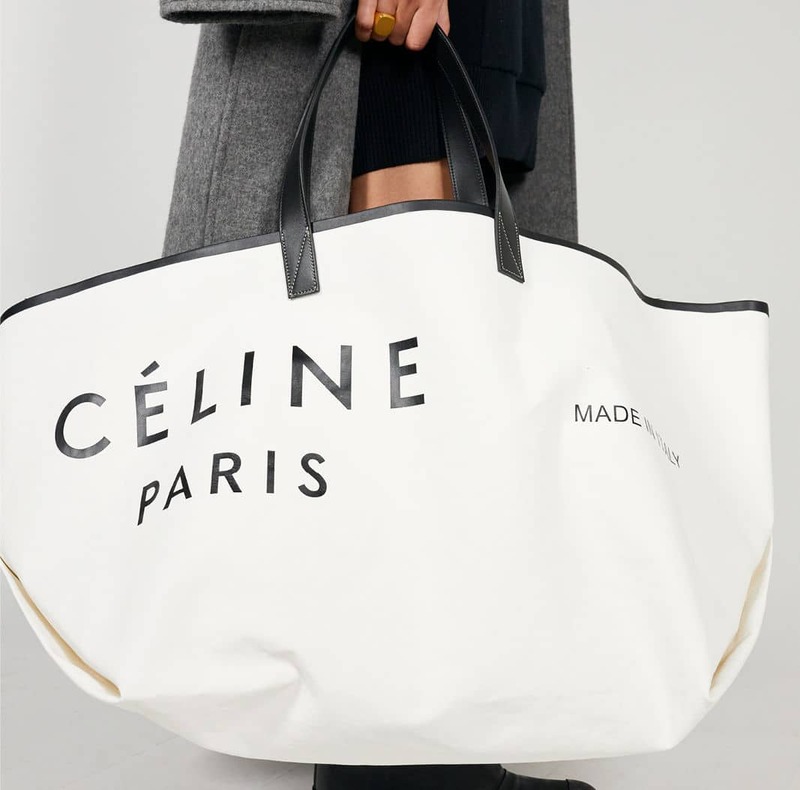 The new Celine is a total transformation from the Phoebe Philo era. 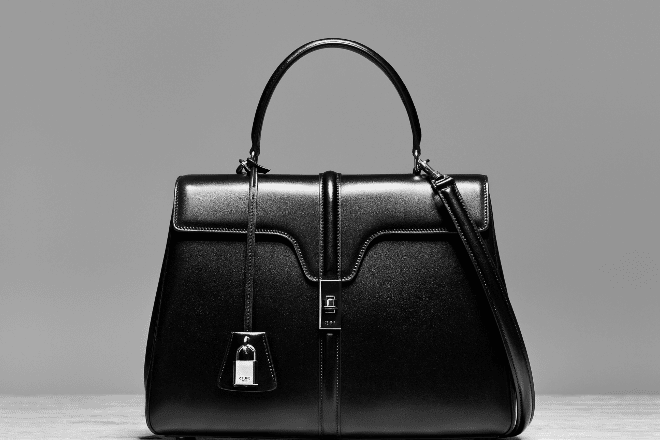 The brand’s latest collection is very reminiscent to Slimane’s time with Saint Laurent. 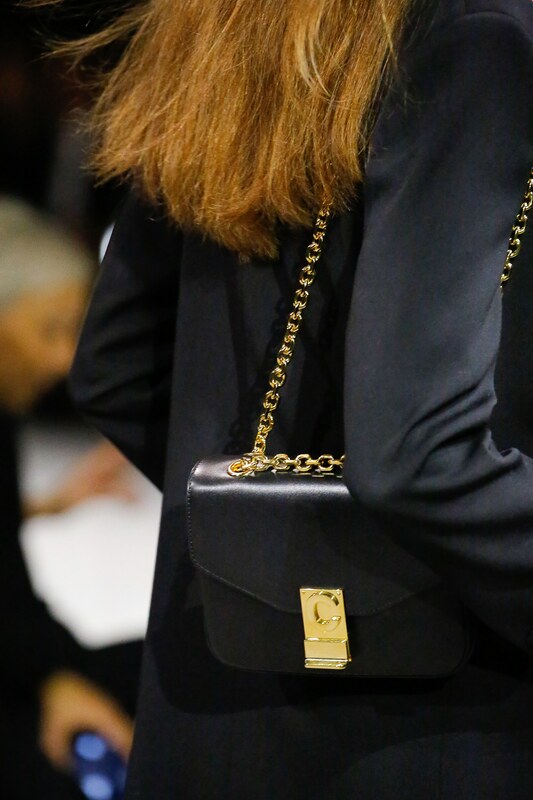 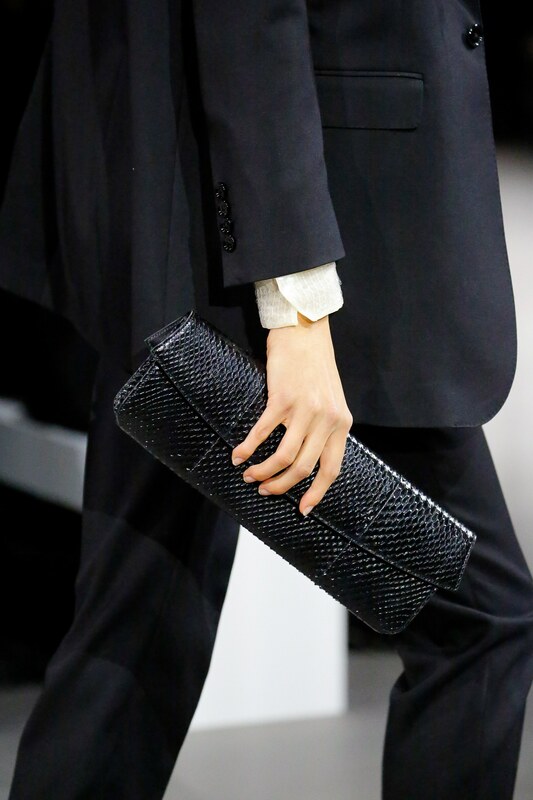 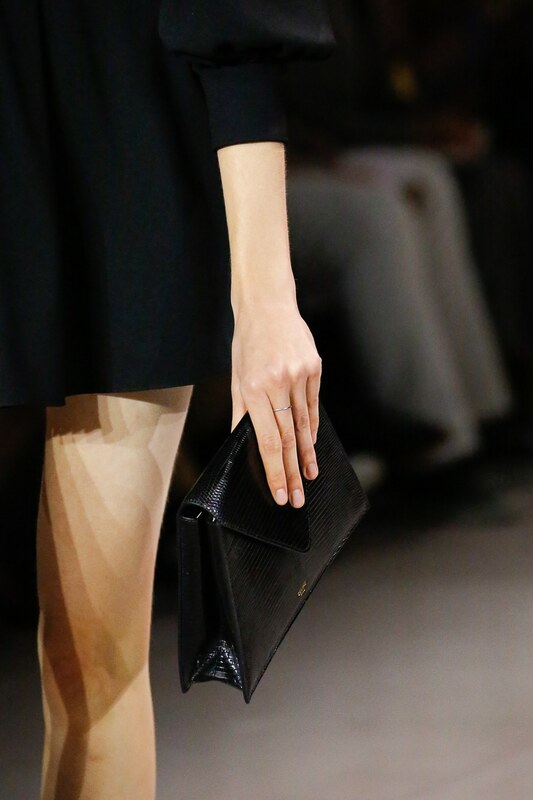 As for the accessories, the minimalist style are long gone for Celine. 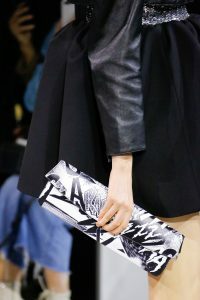 Slimane presented fresh new designs, with an edgy look. 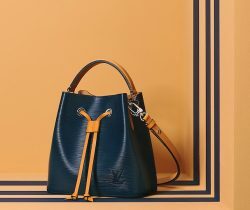 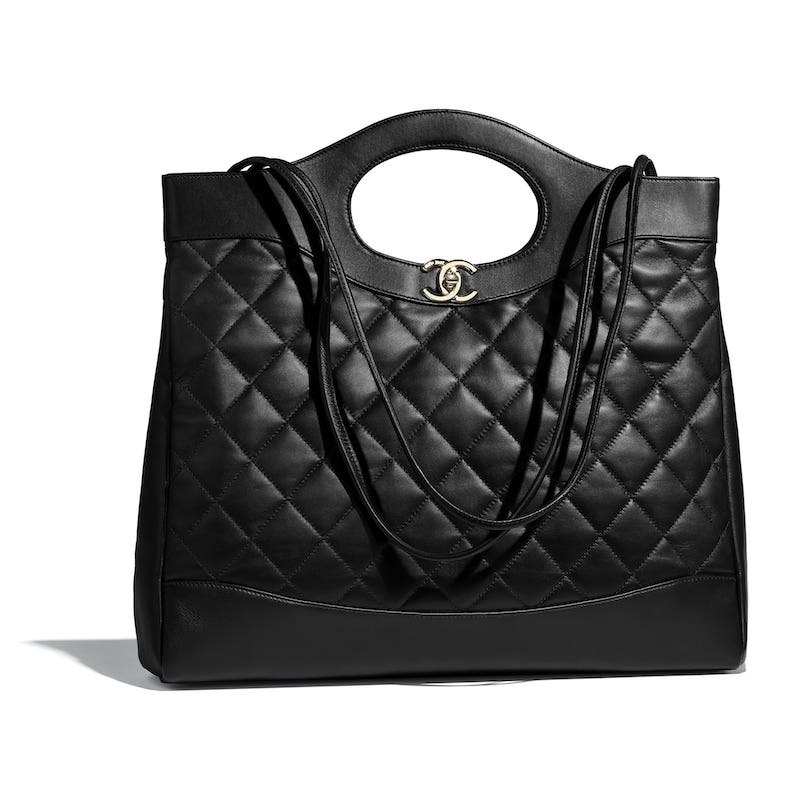 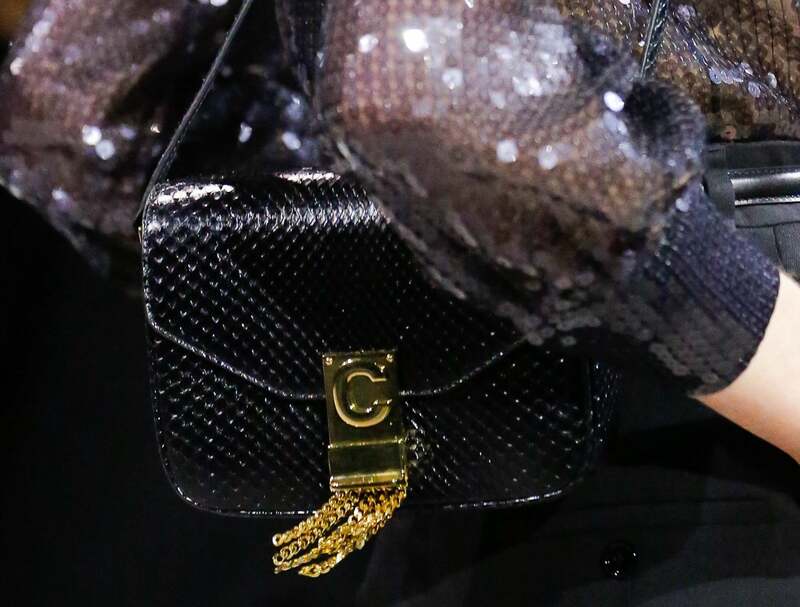 The brand introduces the C bag, a flap bag with chain strap inspired by a 70s design. 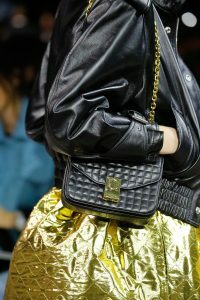 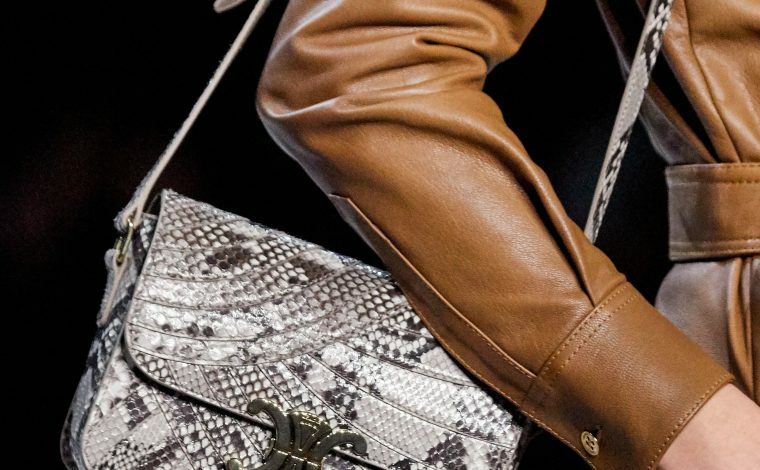 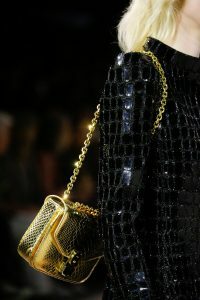 It comes in leather, quilted leather and python. 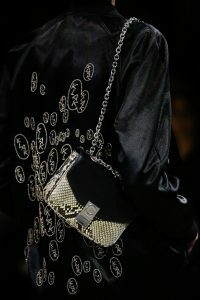 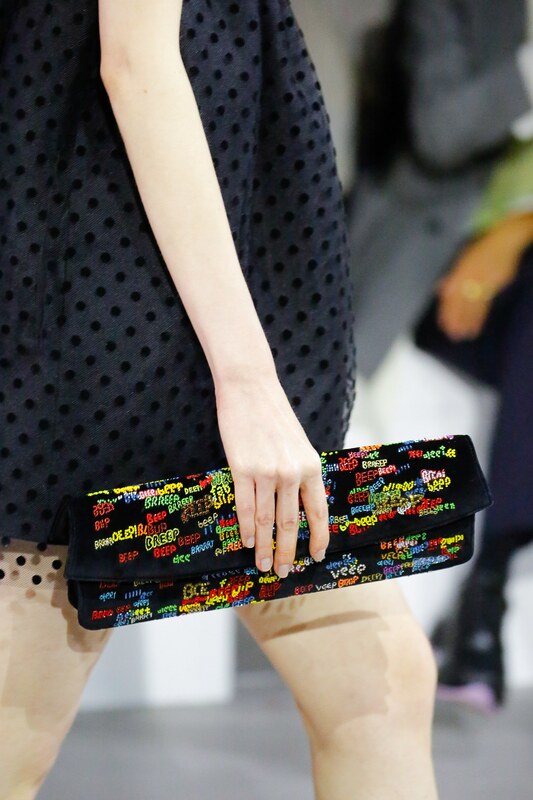 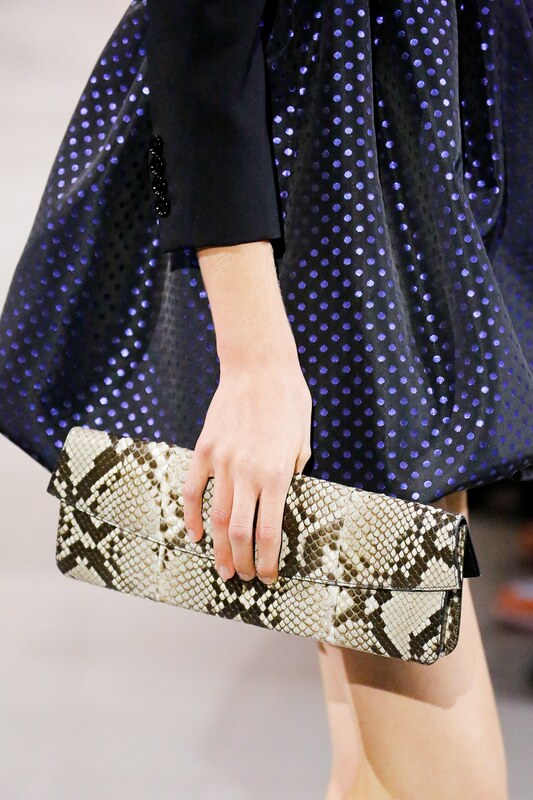 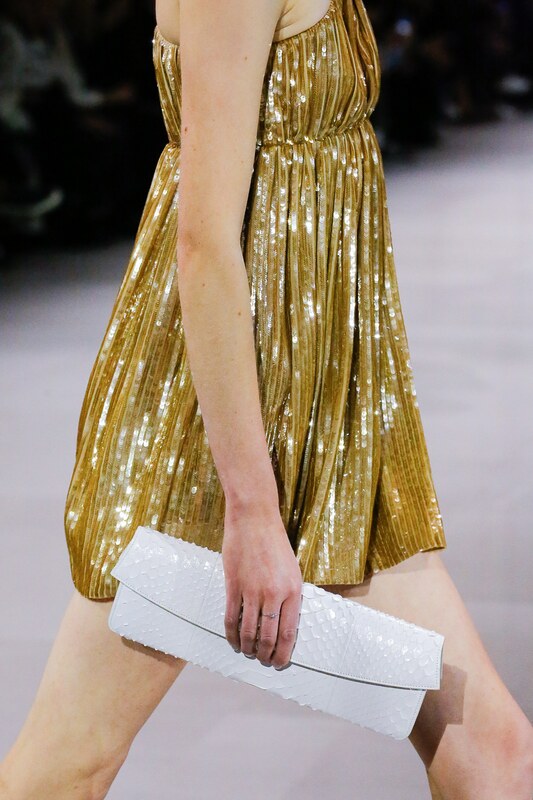 Long clutch bags appeared in the runway, which featured colorful embroidered artwork by American-Swiss visual artist Christian Marclay. 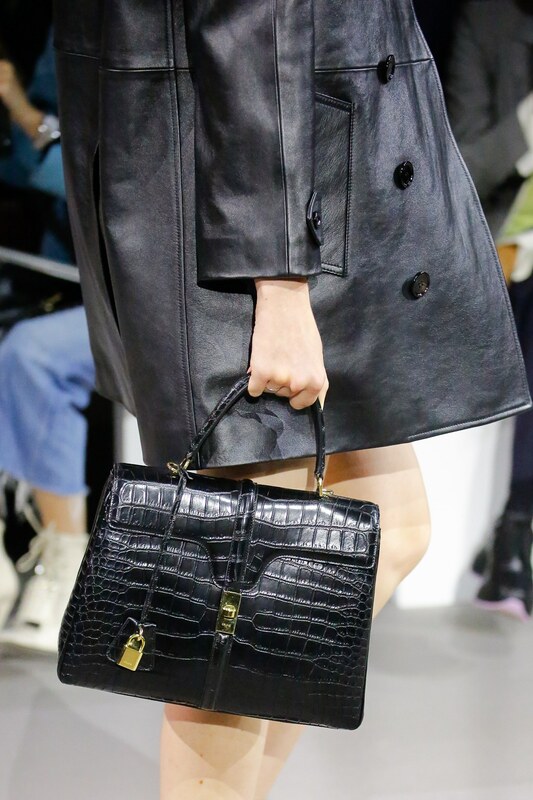 The Celine 16 Bag also made its way to the show, which was first spotted with Lady Gaga and Angelina Jolie.